That is a pretty stamp Mackie! Love your card, it's so peaceful! 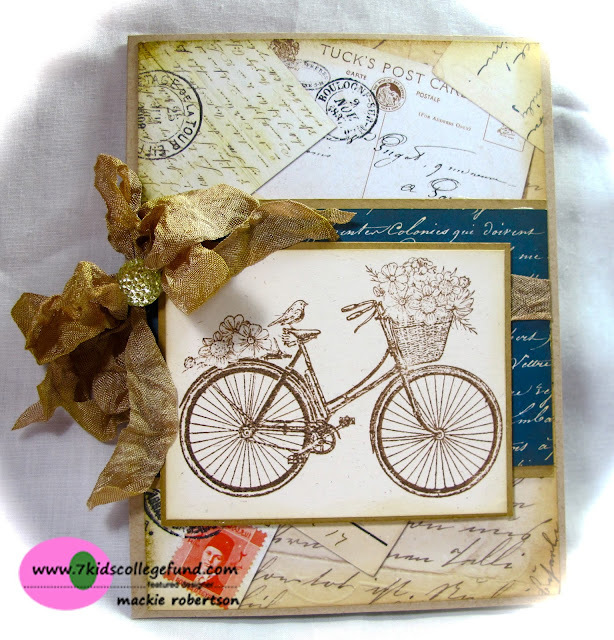 This is lovely - what a pretty stamp and your beautiful bow compliments it, and the papers, perfectly. Such a pretty card Mackie! Love the stamped image and fancy bow!